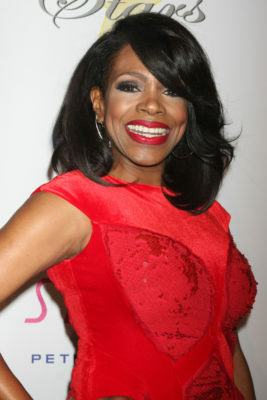 Sheryl Lee Ralph is headed to TNT. Deadline reports the Instant Mom star has joined season two of Claws. The dramedy stars Niecy Nash as the owner of a Florida nail salon that also acts as a front for money laundering. The cast also includes Carrie Preston, Harold Perrineau, Jenn Lyon, Judy Reyes, Karrueche Tran, Jason Antoon, Kevin Rankin, Jack Kesy, and Dean Norris. TNT has not yet set a premiere date for season two of Claws. What do you think? Have you seen Claws? Will you watch season two? This show is fresh and there’s nothing like it on television. I give Claws a 10! Great show – love it! Great show! I was hooked from the first episode…Can’t wait for Season 2! LOVE LOVE THIS SHOW…ANXIOUSLY WAITING FOR IT TO RETURN!!! My co-workers watch it too!!! I can’t wait until season 2! I love this show! Great campy show!! My guilty pleasure, look forward to seeing the next season. that’s cool and all about sheryl lee ralph but we need a premiere date…this show rocks! I can not wait to see season 2. I watch it every week. I love Claws!! I can’t wait for season 2!!! !